Choo-choo! The lively animal express is on its way! Doggy, froggy, ducks and little mouse are already on board. Now, the locomotive and wagons can be loaded. 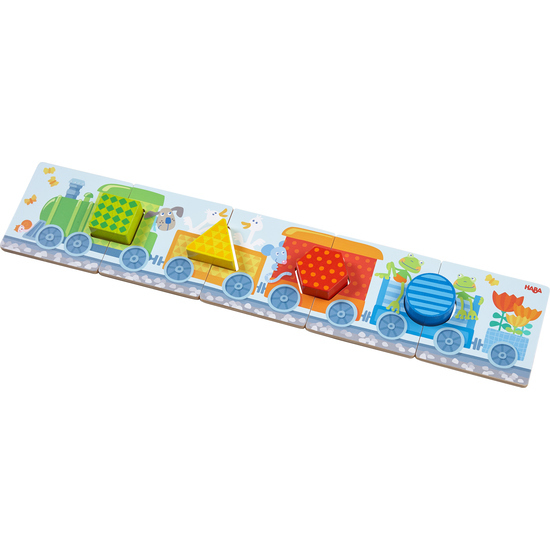 When playing matching game Lively animal express, children are thrilled when they match the easy-to-grasp wooden colors and shapes to their places in the wagons.